The Tax Cuts and Jobs Act of 2017 brought many changes and new opportunities to legally cut the amount of tax that we pay. Just as before, the largest savings are available to those who take deliberate tax saving actions designed to arrange their financial and legal affairs to lower taxes. The tax planning strategies considered so far under the Tax Cuts and Jobs Act fall into two broad categories: Entity tax planning and Universal tax planning. Entity tax planning often involves larger amounts at stake and is complicated by overlapping effects of multiple tax changes. 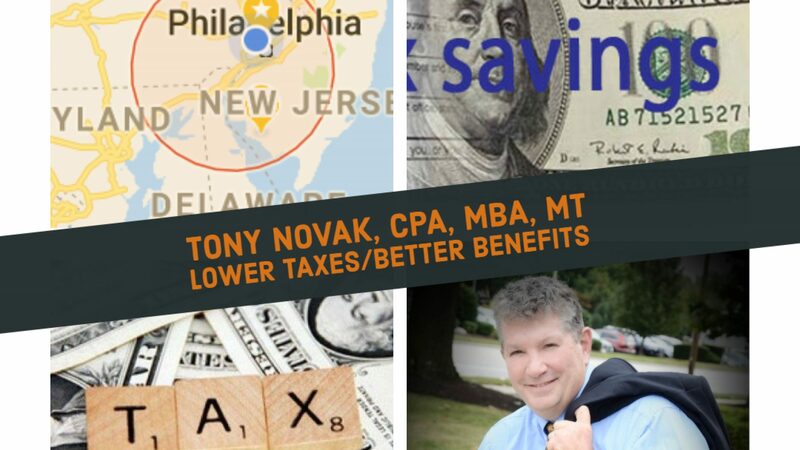 This type of business tax planning is not covered in this blog post. Since every business is different, a private one-on-one discussion is better than relying on media advice on this topic. Universal tax planning, on the other hand, is simple, EASY and straightforward and will affect a much larger group of taxpayers in the same way. This blog post lists the seven most obvious universal tax planning strategies that will be more valuable and presumably, therefore, become more widely adopted in 2018. Many of these strategies fall under the part of the federal tax law known as “Title 26 of the US Code Part III – Items Specifically Excluded From Gross Income”. Most individuals and small businesses can use at least several of these immediately. Because many of the strategies listed require the co-operation of both the employer and the employee, they are typically easier to execute in a small business setting. While my own practice and therefore my comments focus on self-employed people and small businesses, the tax laws apply equally to all. Some of the largest expenses incurred by employed individuals are no longer deducible from our income for tax calculation purposes. A travelling sales person’s automobile expenses, for example, could easily be more than $10,000 per year. Health care expenses not covered by insurance can run into the thousands of dollars per year. A person who pays 1% of assets to a financial adviser to actively manage a $500,000 investment account is losing a tax deduction of $5,000 per year. The net effect for those affected is that even though the tax rates are going down under the new law, the actual amount of tax owed is going up. Some of these expenses could be deductible to the business and be paid on behalf of employees on a tax-free basis if properly arranged as permitted under tax laws. These items can be set up as ‘accountable plans’ to escape tax consequences if handled appropriately under IRS regulations. The two largest categories are employee business expenses and employee medical expenses. (The links are added to other blog posts on similar topics but these are not necessarily the only options available). Health Reimbursement Arrangements (HRAs) are the most common type of plan in his category. Other types of expenses that could be arranged in a similar manner as a tax-free employee benefit. The sooner an employer acts to set up these plans, the greater the tax savings to employees. I am prepared to act quickly to help with the appropriate business system redesign and required documentation and then integrate these with the existing accounting and payroll system for 2018. Fewer people will be able to deduct the cost of out-of-pocket medical costs but amounts paid through insurance can escape taxes entirely. Insurance paid through the employer as a salary-deducted or employer-paid benefit offers the best tax effect. These plans can cover the out-of-pocket cost of medical policy deductibles, dental, vision and other expenses. In some cases it makes sense to shift those expenses that were formerly paid “out-of-pocket” and then deducted on Schedule A of the tax return to an employer-paid or tax-exempt salary-deducted supplemental insurance policy often referred to as “voluntary benefits”. It makes sense for employers to expand their range of available voluntary benefits, even if the benefits are entirely paid by employees. My affiliated business Freedom Benefits handles these plans. Health Savings Accounts (HSAs) are available two ways: 1) directly to individuals outside of any employer involvement, and 2) as part of an employer-sponsored employee benefit plan. Unlike the other items in this blog post, the tax savings does not depend on coördination with an employer. HSAs remain deductible to individuals ‘above the line’ in the same ay as before this tax reform. HSAs are a simple an easy add-on to any employer’s health plan or available directly to individuals. While I no longer maintain an active online enrollment web site for HSAs, I can build a customized enrollment link on request. In the past one of the primary reasons that businesses did not use cash value life insurance more often was that the cost of employer contributions is not tax deductible. Now with a lower corporate tax rate that could possibly be 16% lower than the individual’s tax rate on earned income, it makes sense to reconsider. Of the items listed in this blog post, this is the only strategy that endorses an approach of electing to pay more tax now in exchange for lower overall taxes base on anticipated future effects. I’m sure we will be reading more about this strategy in the near future. Employees may elect to reduce their salaries to cover the cost of child care, dependent care, medical expenses, dental, and vision care expenses. These amounts escape wage taxes – a savings for both the employer and the employee. Again, these plans can be set up by an employer, often through a Flexible Spending Account or Section 125 Cafeteria Benefit Plan by following appropriate design, notification, documentation and accounting procedures. I am prepared to offer this service to small business employers immediately for 2018. Individual tax preparation fees are no longer deducible from gross income to determine taxable income. We may see individual tax preparation services included in the bundle of services offered to businesses as part of their payroll or employee benefit service contract and passed on to employees as a no extra cost option. I am prepared to amend the small business’ payroll service agreement or employee benefits service contract to include this option where appropriate. Investment advisory fees are no longer deductible on the individual tax return. This often means an increase in thousands of dollars in taxable income to an upper middle class employee who is approaching retirement age. Meanwhile, in a trend entirely separate from the tax issue, investment advisory services are evolving to automated platforms at a rapid rate. For many of us, the majority of our investment assets are held within an employer-sponsored retirement plan. That means that the employer can have some influence in expanding the services available to participants under that plan, including an expansion of investment advisory services to plan participants. The combined effect is that investment advisory fees will likely be available as a no-added-cost service by independent accountants and service providers as part of the payroll service or employee benefit service agreement. Again, this adjustment is easily made on many retirement plan agreements. In cases where a small business employer is not already sponsoring a tax-qualified retirement plan for employees, an employer tax credit of $1,500 ($500 per year for the first three years) is available to employers that elect to add this benefit now for 2018. This credit covers small business 401(ks), Simplified Employee Pensions, SIMPLE Individual Retirement Accounts and other profit-sharing or pension plans. As always, I am pleased to discuss the details of adding any of these to you tax planning response strategy for the Tax Cuts and Jobs Act provisions that take effect January 1, 2018.